July is warm weather, lots of family events (summer) and outings and sandals! What is it that you must have? Bags, shoes and essentials? 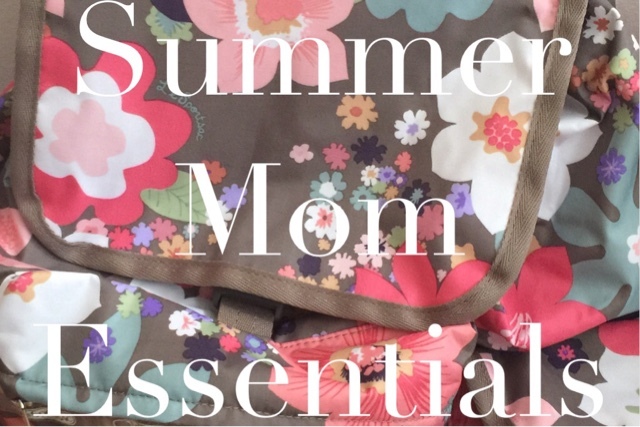 I have a few things that are My Mom Essentials for Summer, they are always with me or my go-tos along with my jeans with a tee/tank staple outfit. #1 essential is my phone hands down, the iPhone 6Plus 128g, over 90gigs are currently pictures. 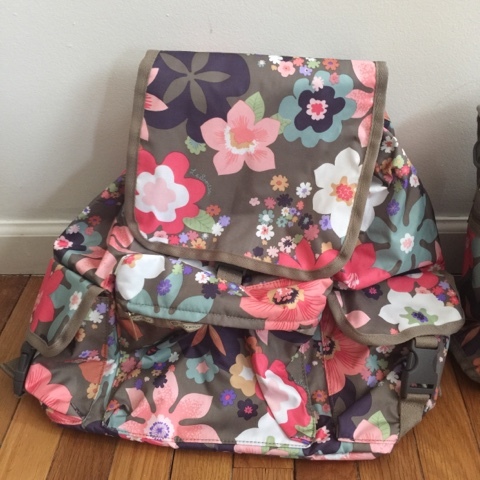 Bags: Now that I am past the diaper bag stage (woohoo! ), I can have cute bags but I still need a decent size. Let's face it even though I don't have diapers, baby food and bottles with me anymore I still am the "holder" for everything the kids want to bring but not carry. Also with always being on the go and still connected online I carry an iPad or my Macbook with me often. Don't forget the camera, external battery and a Thomas train or two and a My Little Pony. I need something big, but still trendy and something "me". LeSportsac makes backpacks which are perfect for all my needs and so many fun prints. I found the Voyager Backpack in Blissful, it has 3 outer pockets, 4 inner pockets-3 of them mesh. Closures include zippers, clips and drawstring. What I like about backpacks at this point, it fits everything and is practical for days out at the farm, a park, zoo and shopping. I can pack lunches and carry them too. Backpack are not just for kids anymore. At the last Apple Moms MNO event(check out the MNO events I host), we were able to give away a Medium Weekender bag to a lucky Mom. The winner was ecstatic. A great bag for quick sleep overs, gym bags, and travel carryon. Which is your favorite style from LeSportsac? 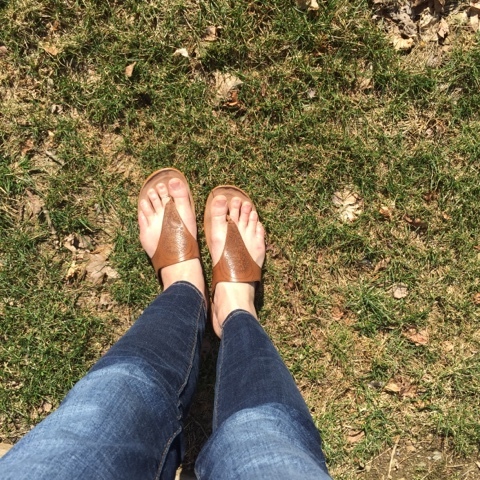 Sandals: After having high boots this winter which were total comfort and stylish (I wrote a review for Apple Moms), I was given choice for pair of summer shoes, I picked out the Priya Sandals. Totally my style and again comfortable. 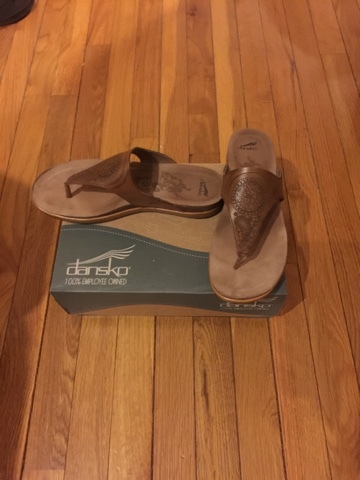 Dansko has once again proven that they are not just a work or "grandma person" shoe. I have worn them to Baptisms, school functions, shopping, events and everyday use. I love the support, the little bit of added height and style. I mean I just turned 30, does 30 mean being more practical? If it does, feet comfort has been the most practical for me. Water Bottles: So recently I decided I need to drink even more water and also try to lessen my milk/Starbucks intake. Partly because of the cost and the other because water intake helps with being healthy. 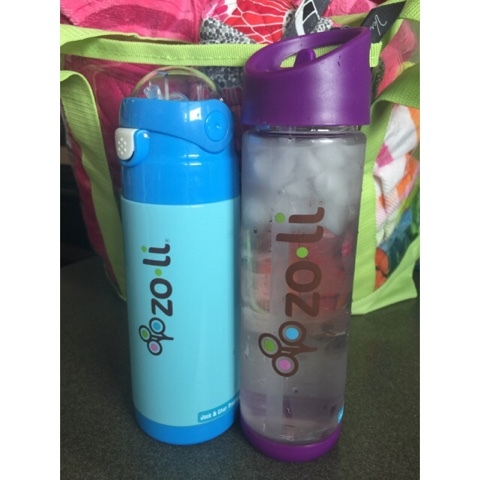 The kids and I are trying out zo-li water bottles in PIP(18oz) and DASH (12oz). I love how cute they are for the kids and myself. Straw water bottles, with a mixed of vacuum insulated styles and regular. Wallet: I need a wallet that carries a lot, bonus would be my phone also. I found the ideal one at Vera Bradley called the Turn Lock Wallet. Although in many patterns I chose my favorite color hot pink, since practically everything I own has pink in it, to match. 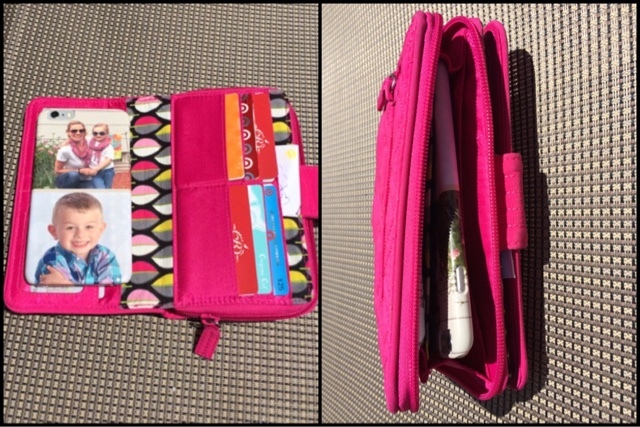 I can place my iPhone 6+ in the zippered part or close in the front when I am just carrying the wallet out. Disclosure: I received some of the products in this post for free in exchange for an honest review. No other compensation was exchanged. As always all opinions expressed are 100% honest and my own.